Warm, Detroit-influenced house and techno from a new name on Marcel Dettmann’s label. 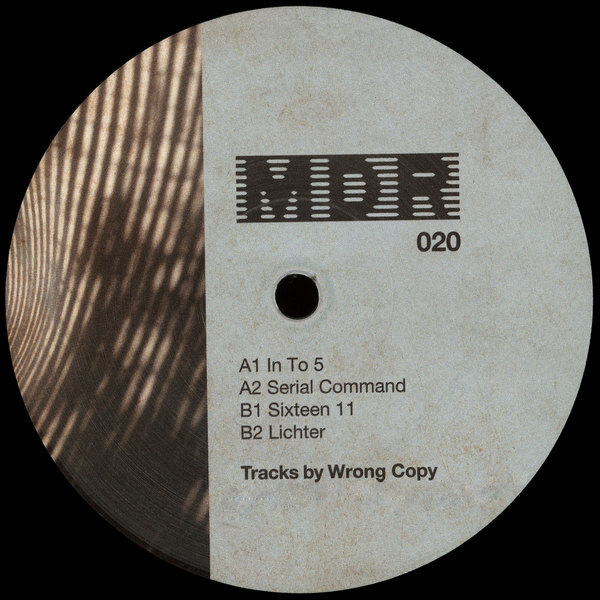 MDR 20 introduces Wrong Copy in four subtle aspects, taking in FXHE-style melodic techno with In to 5 and a fine mix of Berlin/Detroit in the gritty, driving minimalism of Serial Command. Sixteen 11 is a standout piece of spacey UK/313 vibes owing to classic Claude Young, C2, or Reload, and Lichter finishes like some hypothetical fusion of Hieroglyphic Being and Shed.